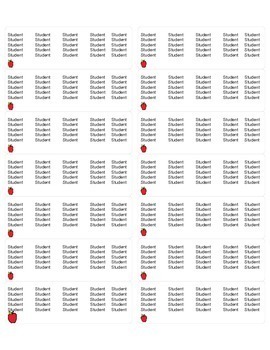 Have you ever forgotten your student roster when there was any type of fire drill, severe weather drill, etc? Well not anymore. 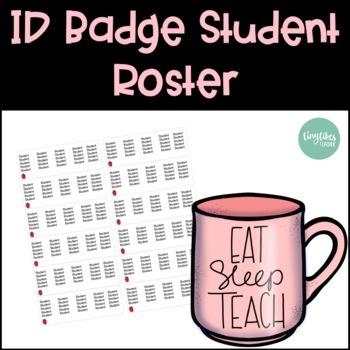 This ID badge is to be printed on label sheets and stuck to the back of your ID badge. The ID badge is completely customizable. All you have to do is purchased this product. 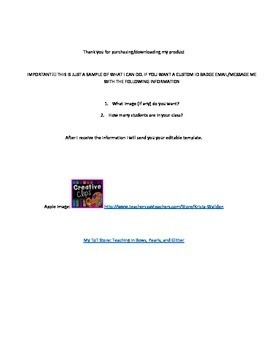 Then, message me with the image (if any) that you want and the number of students you have in your class. I will then create your own ID Badge and make sure that it gets to you. Hope you enjoy my product! I look forward to working with you!